April’s flower is the dainty daisy symbolizing happiness, innocence and purity. There are specific meanings associated with different varieties of daisies also with white daisies with a yellow centre carry the meaning of innocence. Pure white daisies with white centers are often associated with purity. The daisy also symbolizes new beginnings, true love and harmony – making it a perfect flower for any kind of gift. They are particularly common in bouquets for mothers and children. The word “daisy” comes from an Old English word meaning “day’s eye”. This association came about because daisies only open during the daytime. A single daisy flower is actually made up of two separate flowers – the centre petals are one flower and this is surrounded by the “rays” of another flower. The daisy grows all year round and is naturally resistant to many diseases and pests, making it a perfect flower for those exploring their green thumb! Bring out your inner child and make yourself a daisy chain to bring in April, or treat someone to a beautiful posy of these simple and lovely flowers today! Visit our website: https://www.ngenious.com.au/ Our Instagram: https://www.instagram.com/melbourneflorist/ Or come visit us in store today! Daffodils – the birth flower of March – are trumpet-shaped flowers that come in a variety of sizes and colours. Traditionally, they are a sunny yellow but can also be white or pastel yellow. Across many cultures, the daffodil has an uplifting meaning. Typically they symbolize creativity, inspiration, renewal, inner reflection and forgiveness. In Chinese culture the daffodil symbolizes good fortune, while in Japan it means joyousness. French people see the daffodil as a symbol of hope and in Wales the first to find a daffodil bloom will be blessed for the upcoming year. Perhaps the most universally known symbol for the daffodil is its association with the Cancer association. The daffodil flower is a trumpet shaped bloom on a slender stalk. The unique flowers can range from ½ an inch to 5 inches depending on the plant size. Native to the Mediterranean, they originally grew in Greece and Rome before becoming wild, and then being cultivated by Europe. The message of the daffodil is uplifting and energizing. This makes it the perfect bloom for new beginnings and to express a positive sentiment to a friend. 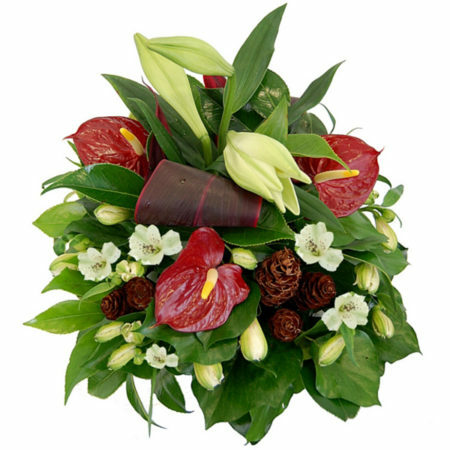 It’s a wonderful flower for births, housewarmings and to treat someone special. International Women’s Day is celebrated every year all around the world to honour all that women achieve in social, political and economic environments. This wonderful event has been celebrated on March 8th since 1909 to bring women into the spotlight and share the equality. Every year this event gains more support and recognition, and we want to help spread that awareness! The International Women’s Day is all about unity, celebration, reflection, advocacy and action and 2017’s campaign theme is #BeBoldForChange. Our skilled florists can help you to create a beautiful bunch of flowers to give to an inspirational or special woman in your life to celebrate their strength, courage and beauty. Whether that’s your grandmother, mother, sister, daughter, aunt, colleague or friend – there is a woman in all of our lives that are worth celebrating! Come in and get a pretty posy for a special someone today! Jump over to our Instagram: https://www.instagram.com/melbourneflorist/ Or our Facebook: https://www.facebook.com/ngeniousfloriade/ For even more inspiration and pretty posies! February is a big month in the floral world, with Valentine’s Day putting flowers on people’s minds. However it is the lovely Violet that is the flower for February. The Violet symbolizes loyalty, faithfulness and wisdom and is the perfect flower to give to someone to let them know you’ll always be there. 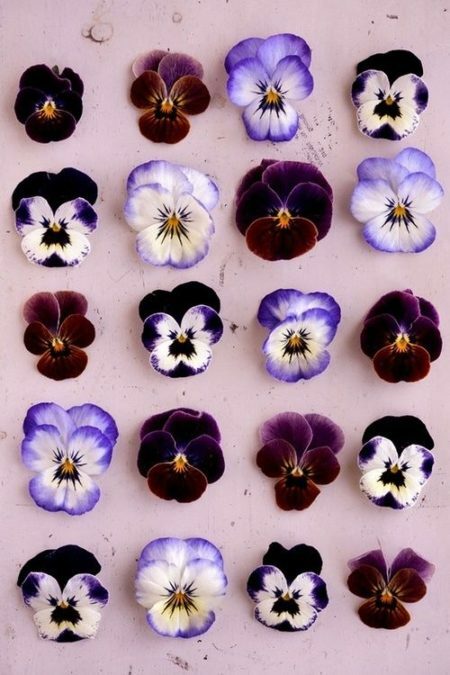 Known for their heart-shaped leaves and five delicate petals, Violets traditionally come in shades of purple but are also seen in blues, yellow and whites. The colour of the Violet changes its significance: The blue and purple Violets symbolizes love and faithfulness. The white Violet represents purity, while the yellow shows high worth and goodness. Used by the Ancient Romans as medicinal herbs, Violets can be eaten raw or cooked and are often used in desserts and as plating decoration. The Australian native Violet and the African Violet are the two most popular varieties. They grow well in most areas of the country and bloom in the warmer months. Potted violets make an ideal indoor plant, preferring a cool, shady spot away from direct sunlight, these pretty flowers provide a pop of colour and need minimal care. Used for hundreds of years to convey messages without meaning, roses are unique for their beauty, subtle fragrance and delighting a special someone with sentiments of love. White roses represent purity, innocence and are often associated with young love. It also symbolizes truth, relevance and loyalty. Yellow roses today symbolize friendship, joy and caring. A posy of these sunshine blooms conveys warmth, gladness and affection. Pink roses convey a sentiment of gentility, femininity, elegance, appreciation and admiration. They are a delicate flower that represents love and affection along with a gently happiness. Orange roses are warm and vibrant, they represent desire and attraction, passion and excitement. The traditional red rose of course symbolizes love. They are a bold and dramatic flower and show enduring passion. It is universally known as the lover’s rose. Partner your roses with a sweet card, teddy bear or a box of chocolates for a complete Valentine’s package! With Valentine’s Day less than three weeks away, it is the perfect time to start thinking and ordering your flowers with Ngenious Floriade! Jump on our online store, give us a call or come in and see our beautiful florists who can lovingly create your posy! Have a browse through our collections online and create a floral beauty for your love. And as always, check out our Instagram for plenty of lovely inspiration! The Waratah is native particularly to southeastern Australia, found on the Central Coast and the South Coast as well as nearby ranges. The large flowers are actually individual flowers that are grouped in rounded heads. They are usually red but can be pink or white as well. Kangaroo Paw plants only occur naturally in the southwest of Western Australia. The size, flower-height and colour varies depending on the variety and species. They are a large, velvety and vividly coloured red or green flower with no fragrance and a sturdy stem – ideal for birds. The Banksia has over 170 varieties, but is distinguishable by the flowery spikes and conical shapes. You will find these beauties in rainforests, shrub lands and arid landscapes. The Banksia flower is filled with nectar and plays an important role among the bees and animals. Eucalyptuses, commonly known as Gum Trees, have long thin green leaves and a crisp, fresh scent. 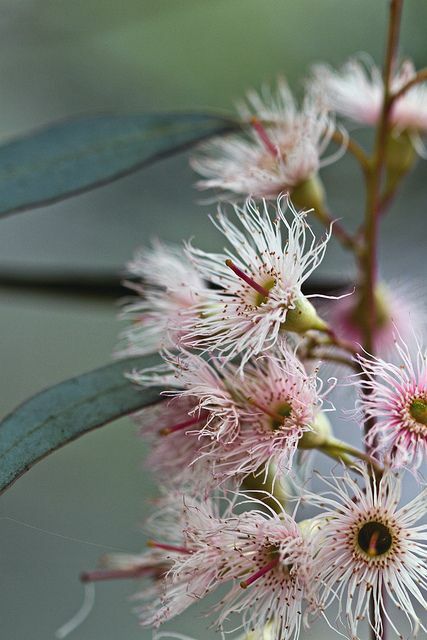 Eucalyptus is an iconic tree in Australian flora, and the oil is widely used in aromatherapy. The vibrant red Bottlebrush grows on bushy trees in sunny, dry areas. There are over 40 species of Bottlebrushes, featuring colours such as yellow, white, red, pink and orange. The Golden Wattle is Australia’s national flower and even has its own day, being September 1st. When in flower, the wattle displays the colours of green and gold. It is a symbol of unity and prosperity. If you love the look of our native flora, some flowers you could seek for your native bunch could include: Proteas, Blue Gums, Kangaroo Paw, Gumnuts, Leucodendren, Banksia, Eucalyptus Buds, or Inca Gold. 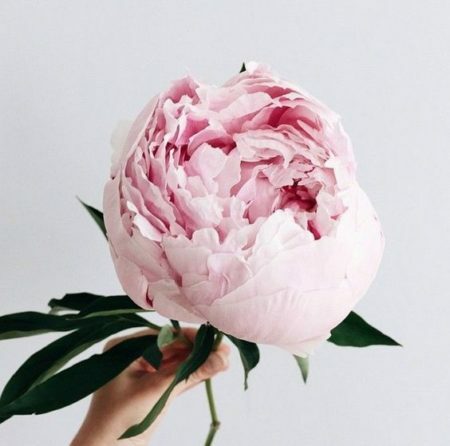 Visit our website for a browse: https://www.ngenious.com.au/ Or our Instagram for some inspiration: https://www.instagram.com/melbourneflorist/ And come in and chat to our lovely florists for some more tips! The carnation is the birth flower for January, cultivated for its ruffled blooms and favoured for their fragrance and hardiness. 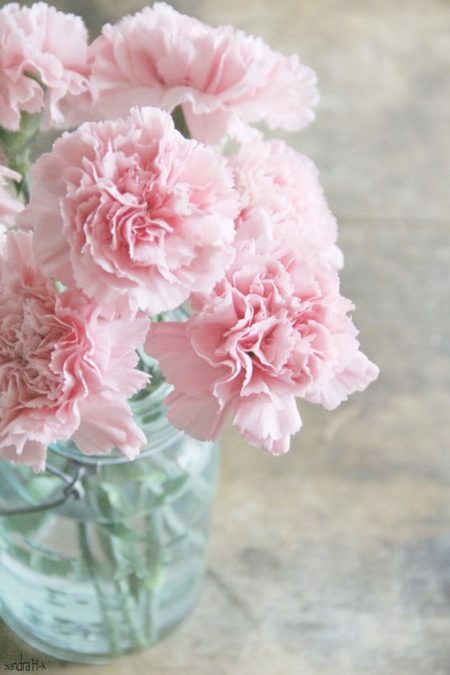 The scientific name for a carnation is “Dianthus Caryophyllus”, a Greek word meaning “flower of the Gods”. Carnations carry the meaning of love, fascination and distinction. Like many flowers, the colour also contributes to differing meanings. Red carnations symbolize passionate love while yellow means disdain, rejection or disappointment. A white carnation carries the meaning of innocence and pure love and a purple flower is whimsical and capricious. Over 300 species of carnations and hybrids exist, and the flower has been cultivated over the last two centuries within Asia and Europe. Carnations are exotic in Australia but they are grown commercially. Originally, they were grown in the Mediterranean where the Greeks and Romans used them for crowning garlands during important ceremonies. Carnations are considered an edible flower and the petals are a popular choice for cake decorators. The flower has also been used in the making of the French Liquor Chartreuse since the 17th century, and they are also used to decorate ice cubes and bring flavour to certain salads. For more floral inspiration, visit our Instagram: https://www.instagram.com/melbourneflorist/ And Facebook Page: https://www.facebook.com/ngeniousfloriade/ Or come and visit our lovely florists for a beautiful bunch! Christmas wreaths are a tradition found all over the world, decorating front doors and the table centerpiece. Throughout history, wreaths have been used in ceremonial events often being associated with strength and endurance. In ancient Greece and Rome, wreaths were used to distinguish a person of rank or status, being used as crowns in the Olympic Games. In Eastern Europe, evergreen wreaths were lit up through cold winters to speed up the arrival of Spring and the sunshine and warmth it brings. In Christian tradition, wreaths are used in the four-week lead up to Christmas, with the wreaths being adorned with 4 candles, each one lit as a week towards Christmas went by. Today, the tradition of Christmas wreaths have carried through, but they are much more of a modern arrangement. Now, a dominant feature is the evergreen – a symbol of eternal life. Prickly holly is also seen regularly in wreaths. Some wreaths are decorated with boxwood, berries, pine cones and nuts, while others use eucalyptus and eucalyptus pods for their scent. Visit our website: https://www.ngenious.com.au/ Or our Instagram: https://www.instagram.com/melbourneflorist/ And come visit our wonderful florists instore! Get creative with the foliage and flowers in your wreath this Christmas! The flower for December is the Poinsettia. The bright petals are actually leaves, while the flowers themselves are very small and yellow. Traditionally, this flower is red, but they also come in cream, yellow, pink and peach. The Poinsettia is appropriate for the month of December as it is also known as the Christmas Star and the Christmas Flower. It is a vibrant red and green plant that originates in Mexico and Central America. 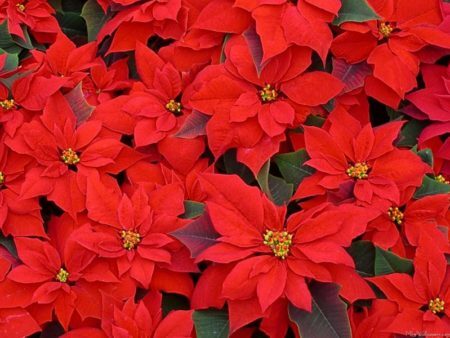 Other names for the Poinsettia include Mexican Flame Leaf, Winter Rose, Noche Buena, Star Flower and the Atakurk’s Flower. Considered by the ancient Aztecs as a symbol of purity and wisdom, it was used as a dye and for medicinal reasons. Now the Poinsettia’s red, white or pink colours symbolize good cheer, success and bring wishes of celebration – a fitting flower for the celebratory season of December. Here in Australia, the Poinsettia is the traditional Christmas flower and has also come to be the birth symbol for Christmas babies. It is the perfect flower to send to spread birthday wishes, good cheer and future success. Other symbols of the Poinsettia flower are joy, love, hope, purity, holiness and motherhood. All over the world, the Poinsettia can be seen throughout decorations over the month of December. It features as table centerpieces, in Christmas wreaths or as a potted plant. It is a bright and recognizable plant to bring in the month of December! Have a look at our website: https://www.ngenious.com.au/ Or Instagram: https://www.instagram.com/melbourneflorist/ And come visit us to see what flowers might be featured on you table or in your wreath this season! Epworth Freemasons operates out of two extensive campuses in East Melbourne; one on Clarendon Street, and one on Victoria Parade. It is one of Victoria’s best maternity facilities and here at Ngenious, we are proud to be able to provide the staff and patients there with beautiful flowers to brighten their day. Freemasons has an extensive facility, including 224 overnight beds, 44 post-natal suites, 9 delivery suites, a special care nursery, 10 operating theatres, a day procedure centre and a critical care unit. The Freemasons campuses are known primarily as being maternity hospitals; however they specialize in women’s health services including breast and gynecological surgeries. They also offer comprehensive cancer care and have a broad range of surgical services including robotic-assisted surgery and a wig salon. Epworth Freemasons has also undergone a redevelopment to bring the best and latest services on offer to Melbourne. The new fully integrated campus provides new oncology units, operating theatres and endoscopy suites. This compliments the already extensive services of the Clarendon Street campus. At Epworth Freemasons, there are also facilities that support collaboration and education with education, research and training rooms allowing environments for new medical advancements to be embraced and implemented. The maternity aspect at Epworth Freemasons is one that is involved and well-considered to include private suites for new parents to adjust to their new addition. Here at Ngenious Floriade, we love making beautiful posies and floral arrangements to suit any occasion for you or a loved one at Epworth Freemasons. 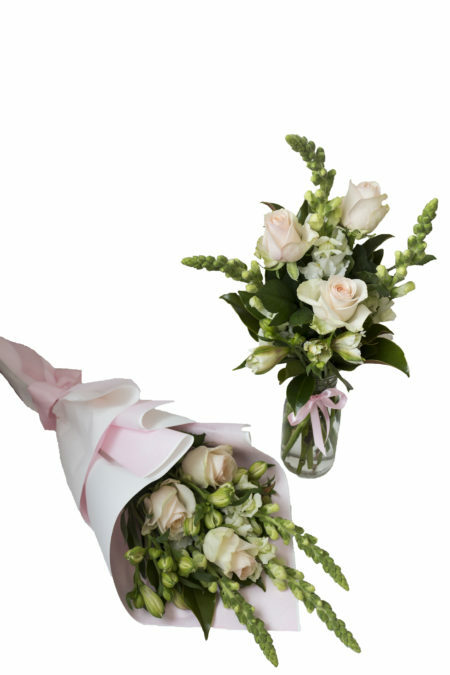 Our wonderful florists are always ready to make the perfect bunch especially for you. 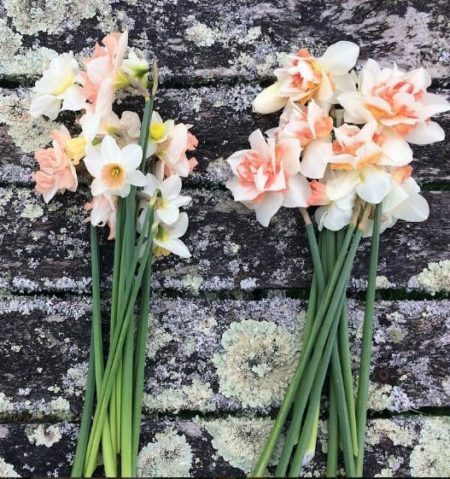 Have a look at our website to see our “baby” and “maternity” flowers https://www.ngenious.com.au/ Or, have a look at our Instagram for some flower inspo, https://www.instagram.com/melbourneflorist/ Or come in store and say hello to our lovely florists!